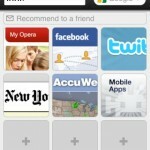 Today, Opera announced that their Opera Mini web browser for the iPhone has been approved for the App Store. It showed up in the U.S. App Store shortly after their announcement. I’ve tried it out and honestly, it’s not very good. 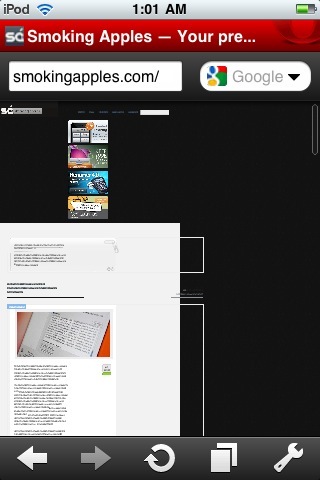 The first site I visited on Opera Mini was my own (naturally) and needless to say it didn’t render too well. All of the text is pushed off to the left and scrunched up. 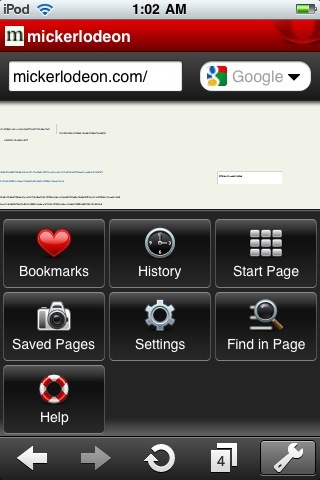 Compare this to Mobile Safari which renders it much better. 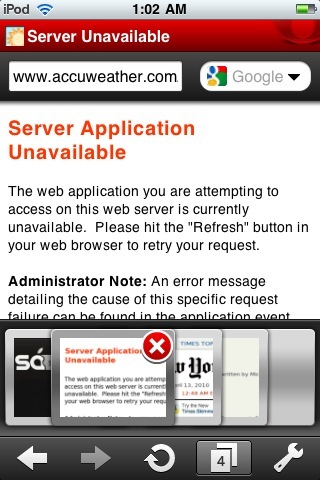 Next I tried to view Engadget in the browser. It rendered much better than I thought it would, but the text of each of the posts was also scrunched to the left. At this point I started to understand why Opera does this. Double tapping zooms in and the text happens to fit the width of the screen nicely. 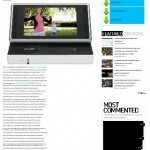 This way you don’t have to do any horizontal scrolling to read a line. I personally believe that Apple’s decision to render pages as they are coded is a better way to handle this sort of problem. 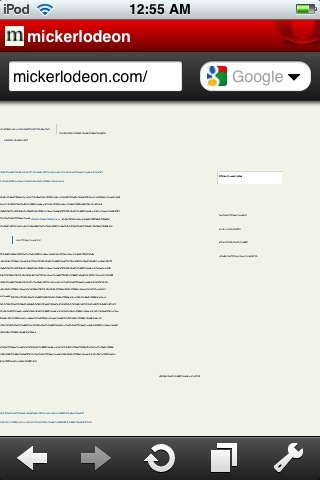 I hope Opera changes their mind and starts rendering pages properly in the future. But, speaking of zooming, there happens to be only two levels of zoom, zoomed in and zoomed out. This is a hindrance when your trying to zoom into a high-resolution image or trying to fit something on the screen perfectly — it just isn’t possible. 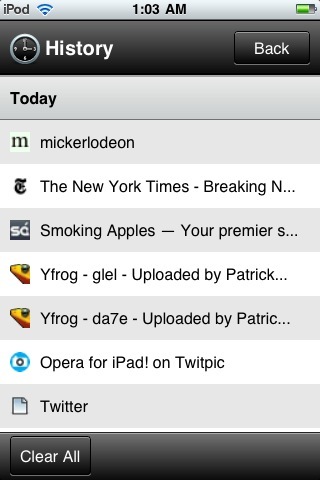 There are some nice features in Opera, though. 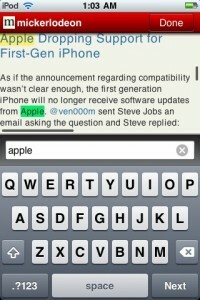 The ability to quickly switch between a search of Google, Amazon, eBay, Wikipedia, etc. 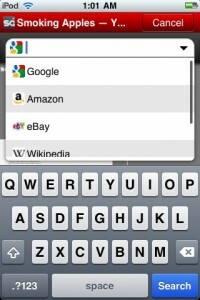 in the search bar would come in handy when you are trying to find something specific on the web. 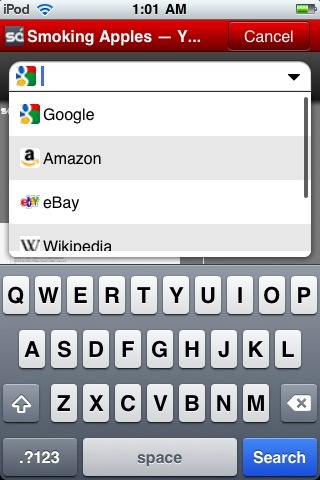 I often find myself searching Google for “something wikipedia” while using Mobile Safari. I want information about that thing but would prefer to find it on Wikipedia. I’m sure the “Find in Page” feature will be used extensively, and I’m willing to bet that some people will consider it a killer feature. Unfortunately, I don’t happen to be one of those people. Searching within a page is great but there are already bookmarklets available that enable the same feature in Mobile Safari. 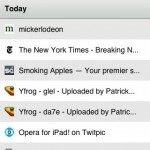 Opera features a handy start page with up to 9 web pages listed for quick browsing. 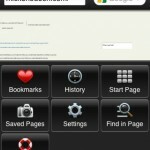 But as long as you close the last window the last time it was used, Mobile Safari will show you your bookmarks the next time it opens. 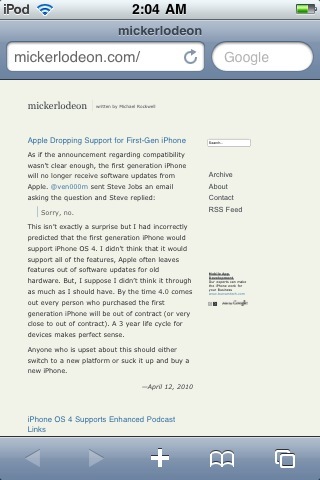 And, I happen to find Mobile Safari’s bookmark list more attractive than Opera’s wonky-looking start page, especially with that “Recommend to a friend” link at the top. Bookmarks, history, and tabbed browsing are all there, although bookmarks are hidden inside of the tools button and their tabbed browsing implementation is simply terrible. 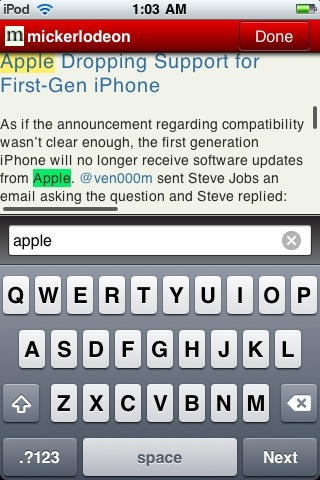 Why in the world do I have to tap the close button twice before a page closes? It just doesn’t make any sense. 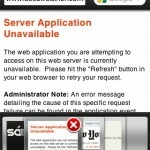 Web pages do load quickly, though. I can give them that. 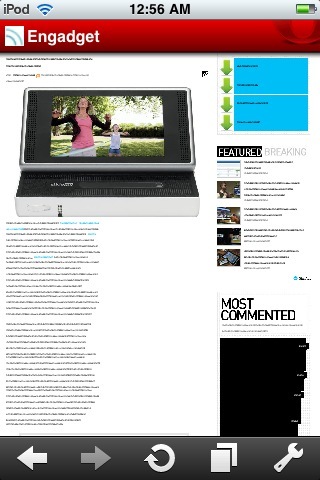 And, I’m glad to see a “Saved Pages” feature for offline viewing. 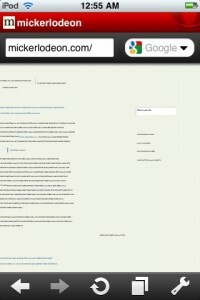 However, Instapaper is my preferred way of reading while offline. 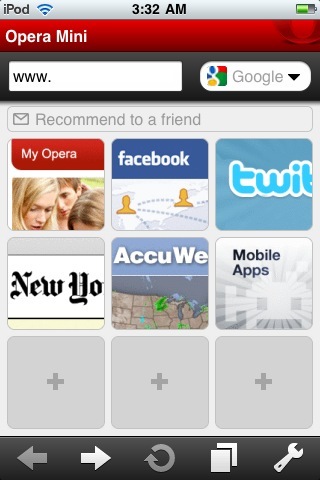 I don’t think I’ll be using Opera Mini again any time soon, but I’m certainly happy that it exists. Not only does this open the doors to other browsers in the App Store, it will also help push Apple to continue improving Mobile Safari.